El próximo día 3 de Noviembre estaremos en Barcelona con motivo del WAF. Mucho me temo que nuevamente tendremos que metabolizar toda la información que en este festival internacional de arquitectura se va a exponer. 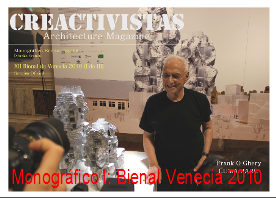 Sobre todo cuando venimos de la Bienal de Venecia con los cientos de actividades y Pabellones que nos hizo reducir al máximo la información acumulada ya que el propio material que traemos de vuelta en papel y digital superaba la carga permitida del avión ya que estaba en torno a 30 kg sin incluir los formatos digitales. La propia generosidad de Architectural Record y Architecture Reviewe en invitarnos a participar como Media Partner nos motiva en este reto y esperamos realizar algunos reportajes sobre el evento que esperamos sea de vuestra satisfacción. La organización nos traslada parte del programa oficial confirmado y os animo a encontrarnos en Barcelona. The next day, November 3 will be in Barcelona for the WAF. I fear that once again we will have to metabolize all the information in this international festival of architecture will be exposed. Especially when we come to the Venice Biennale with the hundreds of activities and pavilions that made us to minimize the information accumulated since the material that we bring back into digital paper and exceeded the allowable load of the aircraft as it was around 30 kg not including digital formats. The very generosity of Architectural Record and Architecture Review in inviting us to participate as a Media Partner motivates us in this challenge and hope to make some reports about the event that we hope will be of your satisfaction. The organization takes us part of the official confirmed, and I encourage you to meet in Barcelona. Just 1 week to go until WAF! Group, student and Spanish resident discounts available. Call +44 (0) 20 7554 5800 or book online! Follow this link to register today for World Architecture Festival. Contact +44 (0) 20 7554 5800 / info@worldarchitecturefestival.com for more information. World Architecture Festival (WAF) is architectural excellence, live. Open your FREE user account today to receive updates and exclusive info for the architectural community. Sign up today. 7 reasons to register for World Architecture Festival TODAY. Hear directly from all shortlisted WAF entrants - this year there were a record number of submissions and attendees from booming markets such as Australasia, Singapore, India and Brazil. Exchange ideas with over 1000 architects from more than 80 countries from practices large and small, including Tecino from South Africa, CHANG Architects from Singapore, Logon Architecture from China, PTAM Vissarionov from Russia, Christopher Charles Benninger Architects from India, Isay Weinfeld from Brazil and LAVA from Australia plus house hold names such as Foster + Partners, Studio Daniel Libeskind, Zaha Hadid Architects and David Chipperfield Architects. Mix with the pace setters in architectural thinking on this year’s Super Jury including Arata Isozaki, Barry Bergdoll, Enrique Norten, Hanif Kara and find out their thoughts on the most up-to-the-minute projects today. Be inspired by some of the most crucial projects this year with David Chipperfield’s seminal Neuesmeuseum and the groundbreaking landscape project Gardens by the Bay in Singapore included in the projects that will be uncovered in our multimedia thematic exhibition, Transformations. Keep up to date with the most innovative and exciting projects from across the globe with insightful keynote and seminar presentations from Josep Acebillo on the Transformation of Barcelona and Jo Noero on his restorative Red Location project in South Africa. Make real connections with the people you want to meet with before, during and after the festival with Festival Connect, WAF’s dedicated social networking site, focused and comprehensive networking events and online communities on Twitter, LinkedIn and Facebook. Meet the next generation of architectural talent at URBAN SOS, WAF’s live, global student competition sponsored by AECOM. The winner of the WAF Everywhere competition has been announced! Read the 30 second interview with Dan Meis. Find out how winning an award at WAF can help your practice heighten it's profileand open doors to new and exciting doors projects. The 2010 World Architecture Festival thematic exhibition will be based on the theme of ‘Transformations’. The 2010 theme will relate to the way in which the built environment can be transformed by a combination of client commitment, architectural imagination, technological development and professional teamwork. Get all the information you need about the World Architectural Festival. Speak to one of our International Representatives in your own language. 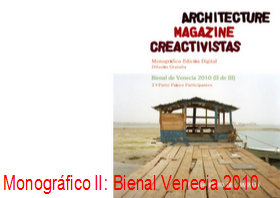 Official magazine of World Architecture Festival wins PPA Designer of the Year Award 2010. The Architectural Review scoops the prestigious PPA Designer of the Year Award for the highly anticipated magazine re-design directed by Cecilia Lindgren and Cecilia Boxhill. Peter Rich, the winner of the second World Building Award, has called for architects to serve a broader section of society. CASA DECOR is delighted to be collaborating with the World Architecture Festival! A fresh, and unique concept, Casa Decor provides the space and the opportunity in which the creative vision of renowned architects and designers come together with the finest brands and the most desirable products in the world, and create a design exhibition unlike any you have ever seen before. Casa Decor Portugal is from 14th October to 14th November. The World Architecture Festival has teamed up with the organisers of the Art and Work Awards to introduce a new award aimed at encouraging and celebrating the relationship between art and architecture. First look programme - now available. Get the list of confirmed attendees for 2010. Get all the information you need about last years World Architectural Festival. Download the WAF 3D Floorplan. Among numerous architectural and real estate events that I attended in the last decade, WAF was one of the best.